Delicious food can make you instantly happier. But that’s often temporary. Eating healthy can support a fit and healthy body. Having a healthy body is better for your mood than having an unhealthy body. Certain nutrients in healthy foods can impact your mood for the better. In this article, we take a look at five of those nutrients: magnesium, zinc, vitamin D, omega-3 fatty acids, and tryptophan. Like zinc and vitamin D, magnesium may affect your mood hormonally. Low magnesium is associated with low testosterone, and low testosterone is associated with low mood in men, of course, but also in women. Magnesium may also affect your brain directly. Preliminary evidence suggests that magnesium modulates the activity of NMDA receptors (a type of glutamate receptors found on neurons), which would explain why low levels of this mineral can result in abnormal neuronal excitations leading to anxiety. Observational studies show that people with anxiety disorders tend to have lower levels of magnesium, and a systematic review of 18 interventions suggests that supplementation may help people who are susceptible to anxiety. The reviewers deplore, however, the poor quality of the existing evidence, and in a more recent triple-blind randomized control trial (RCT), supplemental magnesium failed to alleviate postpartum anxiety and depression. A 2018 systematic review and meta-analysis concluded that there was little evidence for the involvement of magnesium in depression; it stressed that magnesium supplementation was associated with a decline in symptoms in uncontrolled studies, but not in placebo-controlled studies. Magnesium deficiency isn’t unknown in the United States, especially in the elderly. Also, since, like zinc, magnesium is lost through sweat, athletes should take special care of their magnesium intake. Athletes participating in sports requiring weight control seem especially vulnerable to an inadequate magnesium status. Fortunately, with just a little care, you can easily reach your Recommended Daily Intake (RDA): magnesium-rich foods are numerous and can fit all kinds of diets. And whereas high doses of supplemental magnesium can cause diarrhea and other gastrointestinal issues, “magnesium, when ingested as a naturally occurring substance in foods, has not been demonstrated to exert any adverse effects”. If you still feel the need to supplement, at least avoid magnesium oxide: it has poor bioavailability (rats absorbed only 15% in one study, humans only 4% in another) and is more likely to cause intestinal discomfort and diarrhea. Mixed evidence from observational studies associates low magnesium levels with anxiety but not with depression. Correspondingly, mixed evidence from interventional studies suggests that magnesium supplementation is more likely to help with anxiety than with depression. 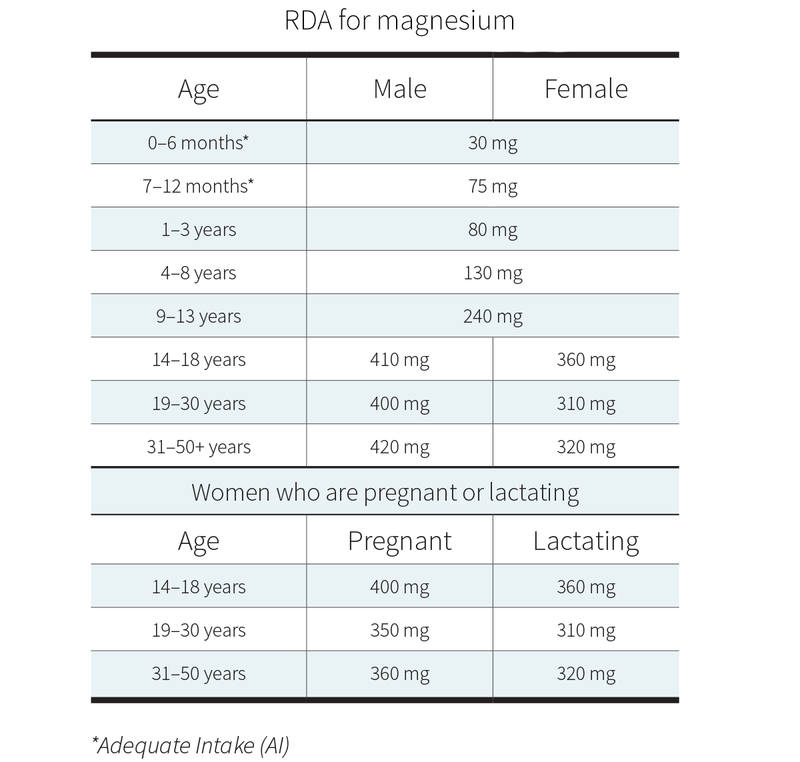 On a practical level, if you eat enough magnesium-rich foods to satisfy your RDA, as you should, supplementing with magnesium is probably not going to benefit your mood. A cross-sectional study of data gathered from 14,834 Americans (7,435 women and 7,399 men) between 2009 and 2014 found an association between depression and zinc deficiency. Likewise, a cross-sectional study of data gathered from 2,019 pregnant Canadian women between 2002 and 2005 reported that being in the highest quintile for zinc intake appeared to buffer the impact of stress and thus the development of depressive symptoms. Cross-sectional studies are snapshots in time, though: they might show correlation, but they cannot establish causation. Zinc deficiency was associated with depression, but did it cause the depression? Or did depression cause the zinc deficiency? Or could it be that depression and zinc deficiency were both caused by some other, undetermined factor? Those are questions cross-sectional studies cannot answer. Fortunately, some randomized trials, which follow people over time, suggest that supplemental zinc makes antidepressant therapies more effective. Here again, we don’t yet know all the mechanisms at play. We know that zinc influences the immune system and brain homeostasis, and like magnesium it may act on your brain’s NMDA receptors. Also, as with magnesium and vitamin D, low zinc levels may impair testosterone production, and as we saw, low testosterone is associated with low mood in both men and women. In any case, getting too much zinc is not a good idea. In fact, far overshooting your Recommended Daily Intake (RDA) can be harmful: in the short term, it can cause nausea and vomiting; in the long term, it can lead to a copper deficiency, which may be inversely associated with depression. 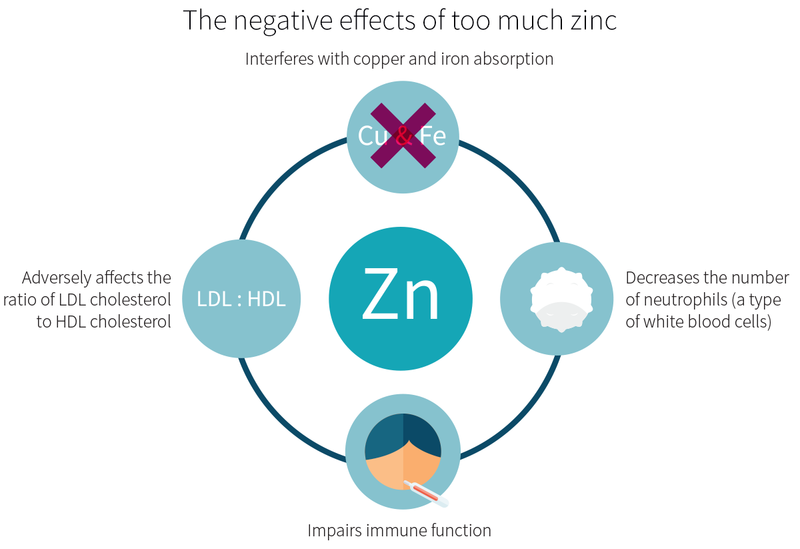 Still, while overt zinc deficiency is uncommon in the United States, it isn’t entirely unknown. It has notably been documented in people suffering from malabsorption syndromes — including Crohn’s disease, celiac disease, and short-bowel syndrome. Furthermore, even healthy people can have suboptimal levels — especially the elderly. Finally, since zinc is lost through sweat, like magnesium, athletes should take special care of their zinc intake. Fortunately, zinc-rich foods are not rare. 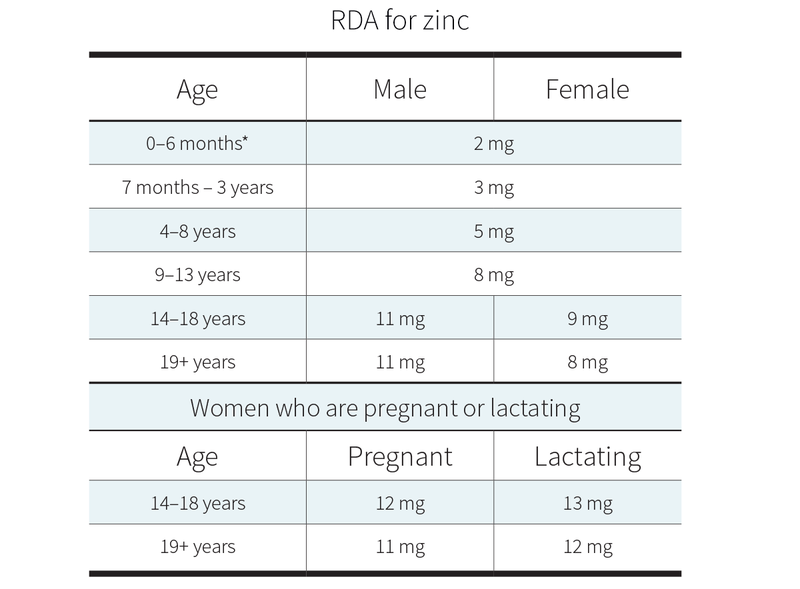 Zinc is mostly found in animal-based foods, but with some planning, vegans can reach their RDAs without resorting to supplementation. Low zinc levels are associated with depression. Fortunately, with some planning, you can reach your RDA through foods, even if you’re a vegan. Keep in mind that taking a lot more than your RDA is more likely to harm your health than benefit your mood. We reviewed the effects of the ever-popular vitamin D on mood in another article. 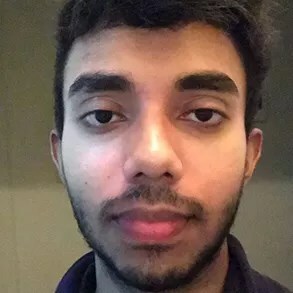 In summary, depression has been associated with vitamin D insufficiency (≤20 ng/mL), and vitamin D insufficiency is estimated to affect about half the world’s population, including more than 40% of Americans. You can have your vitamin D levels assessed through a 25-hydroxyvitamin D blood test. However, that depression is associated with vitamin D insufficiency doesn’t mean that vitamin D insufficiency is the cause (or the only cause) of the depression. During the winter months, when there is less sun, you might suffer from seasonal affective disorder (SAD), which has been associated both with a decrease in vitamin D production (due to a decrease in exposure to the UVB spectrum of sun rays) and with a decrease in illumination (a decrease in exposure to the visible spectrum of sun rays). Five successive reviews looked at the effects of supplemental vitamin D on mood. The 2015 review found no significant reduction in depression, though its authors didn’t rule out the possibility that supplemental vitamin D could be more effective in people with higher levels of depression or lower levels of vitamin D than seen in most studies. 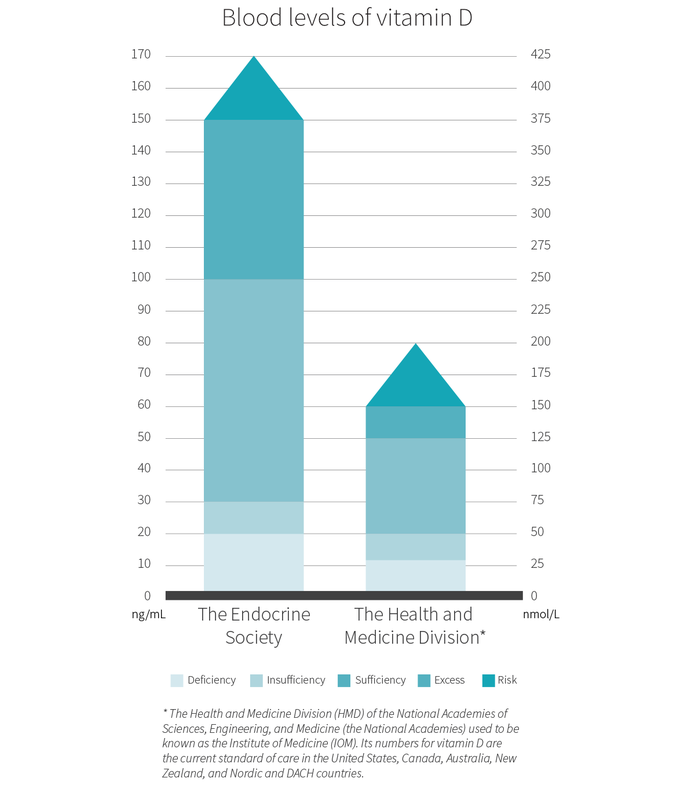 The four other reviews — published in 2014, 2016, 2017, and 2018 — found benefit from supplementation, but three mentioned low methodological quality, and two mentioned high risk of publication bias (of the other two, one found minimal bias and the other failed to account for bias). Low levels of vitamin D (found in more than 40% of Americans) have been associated with depression, and there is preliminary evidence that supplementation can help. 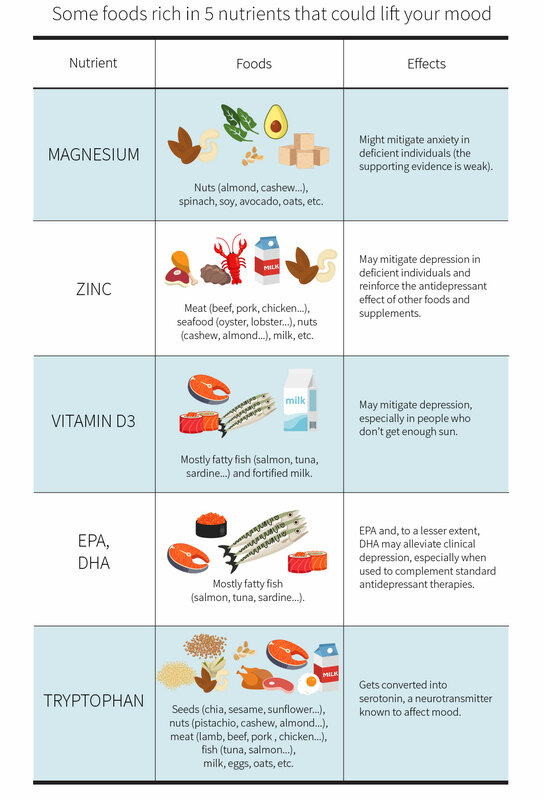 Among common foods, fatty fish and fortified milk are the most notable source of vitamin D.
Three large systematic reviews of observational studies and RCTs concluded that fish oil could alleviate clinical depression, especially when used to complement standard antidepressant therapies. Some researchers have stressed, however, that the evidence remains weak — maybe due to the different studies using different designs and methodologies, including different combinations and doses of omega-3 fatty acids — and that clinical implications should therefore be tempered. Essential fatty acids (EFAs) are polyunsaturated fatty acids (PUFAs) your body needs and cannot produce. There are only two kinds of EFAs: linoleic acid (LA) and alpha-linolenic acid (ALA). Neither is very active, so your body transforms the former notably into arachidonic acid (AA) and the latter into eicosapentaenoic acid (EPA) and docosahexaenoic acid (DHA). LA and AA are omega-6 fatty acids, while ALA, EPA, and DHA are omega-3 fatty acids. EPA and DHA make up most of the PUFAs in fish oil. Several mechanisms of action have been posited to explain the antidepressive effect of PUFAs in general, omega-3 fatty acids, EPA specifically, and DHA specifically, but on a practical level what stands out is that EPA seems to reduce depression more than DHA does. EPA and DHA are mostly found in seafoods, notably fatty fish (such as salmon, tuna, and sardines). The omega-3 fatty acid in most plant foods is ALA, little of which your body converts to EPA and DHA. For vegetarians and vegans, the only rich source of EPA and DHA is algal oil in supplemental form. Preliminary evidence suggests that EPA and DHA, two omega-3 fatty acids abundant in fish oil, can help alleviate clinical depression, especially when they complement standard antidepressant therapies. EPA appears to be more effective than DHA. Tryptophan is an essential amino acid (EAA), which means that your body needs it but cannot synthesize it and so must get it through food. Your body needs you to consume at least 15 mg of tryptophan per kilogram of body weight per day (15 mg/kg/day, so 6.8 mg/lb/day). Your body uses tryptophan notably to produce serotonin, a neurotransmitter that helps regulate mood. A study found that healthy participants fed a diet rich in tryptophan had less anxiety, irritability, and depression. It is worth mentioning that, according to some researchers, the total amount of tryptophan ingested is less important than the ratio of tryptophan to other amino acids competing for the same transporter. If they’re right (although there’s currently little evidence in support of their hypothesis) then just eating a protein-rich diet won’t give you all the mood-benefits of trytophan; you’ll have to prioritize tryptophan-rich foods. Your body uses tryptophan to produce serotonin, a neurotransmitter known to affect mood. You need to consume at least 15 milligrams of tryptophan per kilogram of body weight per day (so 6.8 mg/lb/day). A healthy, balanced diet will naturally contain enough magnesium and zinc, two essential minerals likely to affect mood. Regularly eating fatty fish will provide you with EPA and DHA, two fatty acids that can help alleviate clinical depression. Vegetarians can get their EPA and DHA through conversion of plant fatty acids (though conversion rates can be very low) or through an algal oil supplement. You can also try selecting foods rich in tryptophan, an amino acid used by your body to produce serotonin, a neurotransmitter known to affect mood. Finally, if you don’t get enough sun, you might want to consider supplementing with vitamin D.
Feeling down? Click here to read more on supplementing for better mood.